Your bike guide always brings a tool kit with the most important items for a successful bike operation but we recommend to bring the most esencial spare parts for your bike. In some of the bigger towns (Quito, Baños, Cuenca and Guayaquil), you do find specialized bike shops, but their stock of spare parts is always limited and often bad quality. For longer programs we always recommend to bring your own bike and personal gear. Be sure to check if your airline allows bringing your bike case as luggage or how much the additional cost is both to and from Ecuador. 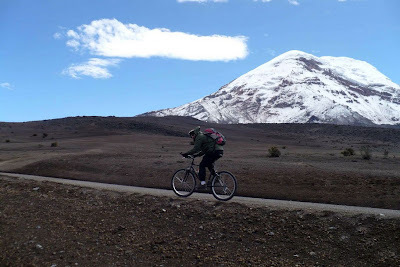 During the program, bike cases will be stored at the our operation base where you also will be cleaning and packing the bikes before leaving Ecuador.